Sarah Dieffenbacher borrowed $50,000 in federal student loans so she could study to become a paralegal in a program at Everest College in Ontario, California, but she never found work in her field. The college shut down eight years later, after the Department of Education determined that Corinthian Colleges, the for-profit chain that operated the campus, had defrauded the government and consumers by providing inadequate career training and falsifying job placement data. Federal student loans are supposed to be forgiven if the feds determine a school defrauded its students, consumer attorneys say, but that still hasn’t happened, according to the Project on Predatory Student Lending, a legal clinic at Harvard University that is suing the federal government on behalf of Dieffenbacher and thousands of other former Corinthian College students. The Harvard legal clinic was formed in 2012 by attorneys who describe for-profit colleges as a predatory industry and the federal government as the industry’s longtime enablers. This weekend, the clinic filed a motion alleging that the Department of Education illegally obtained earnings data from the Social Security Administration to continue denying former Corinthian students debt relief. Some former Corinthian students have even had their tax refunds seized by the federal government to pay off their loans, the attorneys say, or worse. In Dieffenbacher’s case, the Department of Education attempted to garnish her wages until the legal clinic filed an emergency order on her behalf. If former Corinthian students made little progress in loan forgiveness under Obama, they are faring worse under the Trump administration. 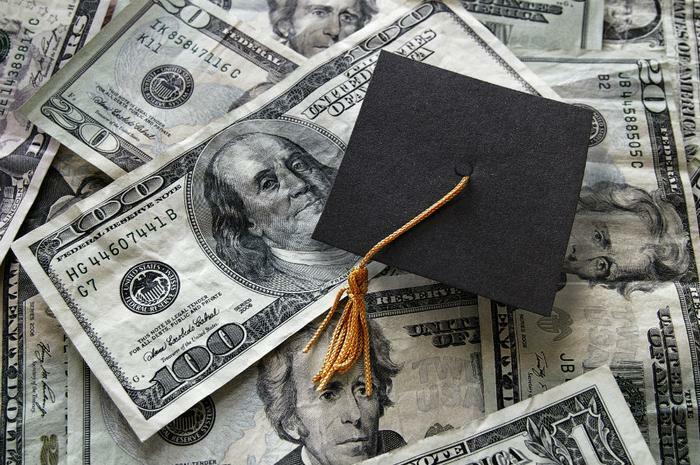 In December, the Department of Education announced that it would only be forgiving loans of Corinthian students if their salary did not match earnings made by people who completed other vocational programs. Many students shortly after received letters stating that they would only get partial loan relief. Department of Education Secretary Betsy Devos framed the decision as one that was necessary to save taxpayers money, but students say in the recent legal filing that using their social security data to prevent loan forgiveness violates several laws and their constitutional rights. The Obama administration cut off federal funds to the Corinthian College chain in 2014 and encouraged defrauded students to apply for loan forgiveness when the company went bankrupt in 2015. But over a year later, an investigation conducted by Sen. Elizabeth Warren found that most students who attended the schools did not see any loan relief. Even after the Department of Education encouraged students to apply for a debt discharge, only a fraction actually received one, Warren wrote in a letter to former Education Secretary John B. King. A staggering 80,000 other former Corinthian students continued to face some fort of debt collection for not repaying their loans, the senator said. “It is unconscionable that instead of helping these borrowers, vast numbers of Corinthian victims are currently being hounded by the Department’s debt collectors...all to pay fraudulent debts that, under federal law and the Department’s own policies, are likely eligible for discharge and thus, invalid,” she wrote. Over a year and a half later, the students now face a presidential administration that is even friendlier to for-profit schools. As DeVos began turning back or freezing Obama-era regulations on for-profit colleges, some states took matters into their own hands. Massachusetts Attorney General Maura Healey, for instance, filed a similar lawsuit demanding debt relief for former Corinthian students in December. Healey is among numerous state attorneys general who have launched their own lawsuits and investigations into for-profit colleges and the student loan industry in an attempt to block either from collecting payments. But last week, the Department of Education published a notice claiming that states do not have the authority to impose regulations on student loan services.